Sometimes, you may just want to print a certain view or just the list contents of a page. 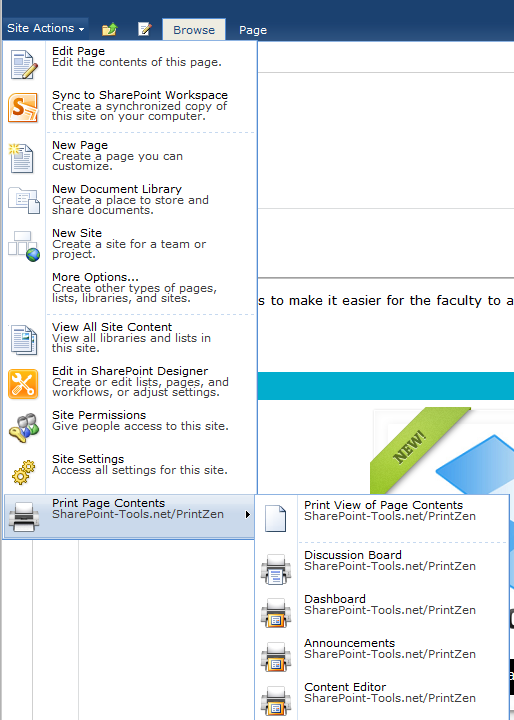 A company by the name of Roxority makes a very easy to install print option for Sharepoint 2010. Just download the set-up file, extract and install as an administrator. 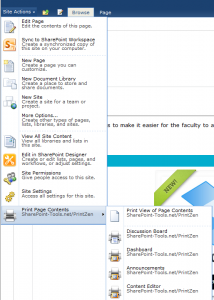 After you are finished, you will have a special menu option under Site Actions which will enable you to print full page contents or different SharePoint widgets.